New laser and mechanism the ideal replacement for a constantly used, worn out laser unit. New replacement BluRay laser and mechanism for the Sony Playstation PS3 console. 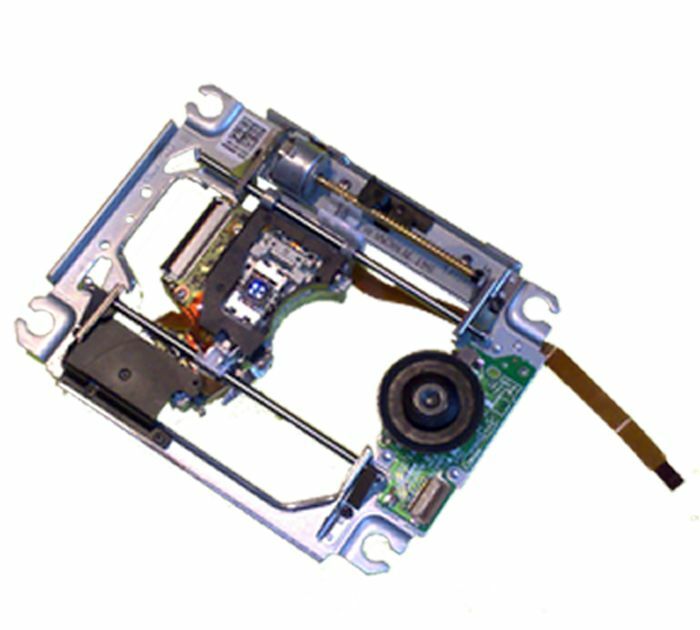 A direct replacement unit for consoles fitted with the single lens KEM-400AAA laser and mechanism unit. This unit replaces all the main working parts of the laser unit, the laser, CD spin motor and laser worm drive motor. Installation requires a Phillips and T-10 (M-Tork) screwdrivers. Had a problem with my PS3 so contacted ConsoleParts4U to get some help. I gave them a quick description of the fault and they advised me to change out the laser mechanism. The new assembly arrived within 24 hours of ordering but unfortunately proved to be faulty. A quick email to the company sorted out a replacement unit which again arrived really quickly and worked fine. Great advice and great customer service 5/5 !! Can really recommend this online store. Quick delivery. 6 days to Sweden. And besides, good prices and a friendly support. who helped me when I ran into some problems. Dead bluray drive on PS3, and all the "tricks" didn't work so new laser mech was final option. Having seen glowing reviews of ConsoleParts4U I ordered and it arrived next day. When the updated drive still didn't work, several calls to (a very patient) tech proved invaluable - issue was down to my amateurish reassembly. Thoroughly recommended! fantastic service. Not only did I get advice on the part I needed I then got technical assistance. I ordered a PS3 laser which worked fine but I had trouble with the transport not working. I was called back on my mobile and assisted until the problem was found. The problem was not due to the part sent but my re-assembling. This is the type od service I thought no longer existed. Excellent service, arrived next day even with just 1st class postage. Only 4 stars because I was sent the wrong item initially, however the correct one arrived a day later with a prepaid envelope to return the wrong one. Good communication by email. Recommended.